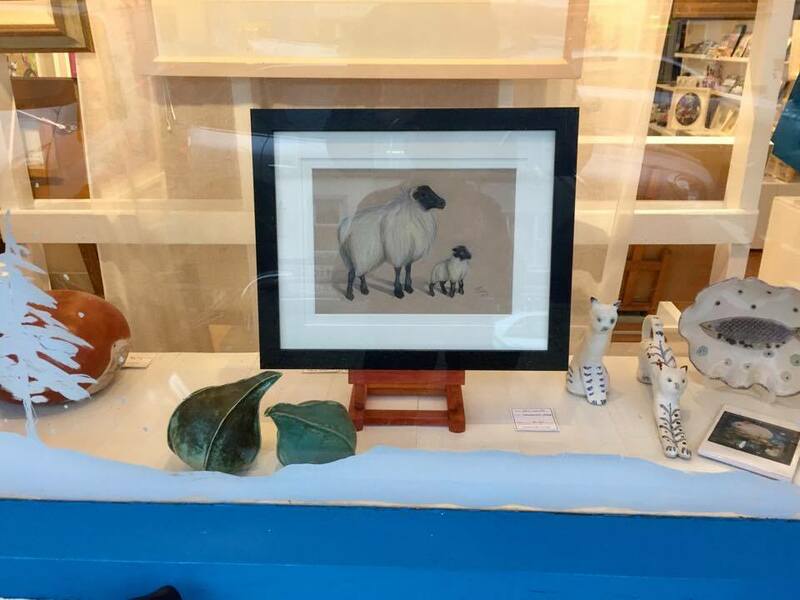 I took these pictures of Connemara sheep recently. 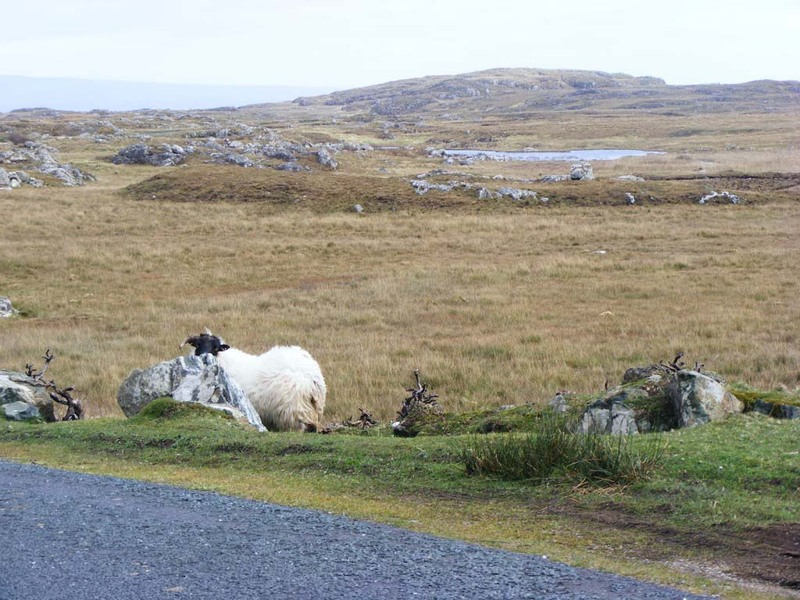 This is a typical sight here – the sheep often feed and rest near the roadside because the tarmac surface is warm. 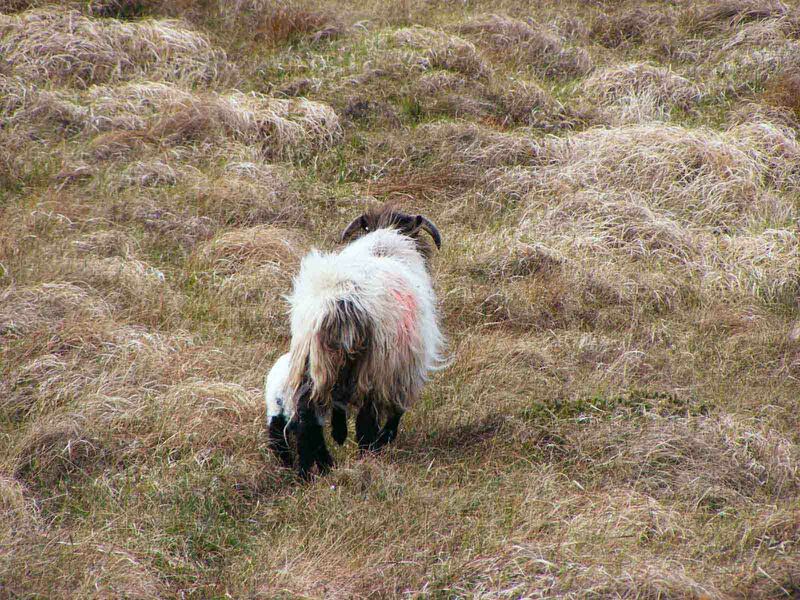 They wander freely and graze on what they can find among the bog grasses. This one ( below) has just noticed me. 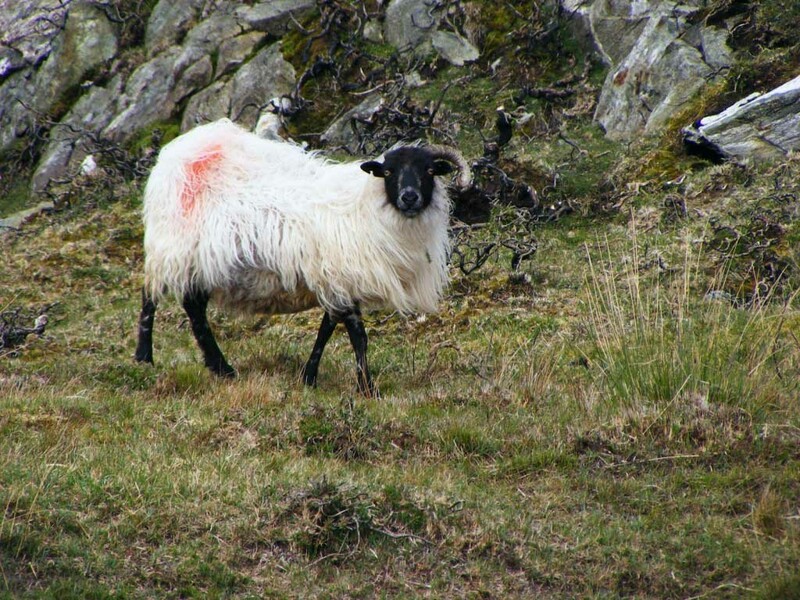 This ram is giving me the eye because there are lambs around..
How rugged and handsome these weather worn creatures seem in relation to their East coast cousins who appear plump and coiffed by comparison. 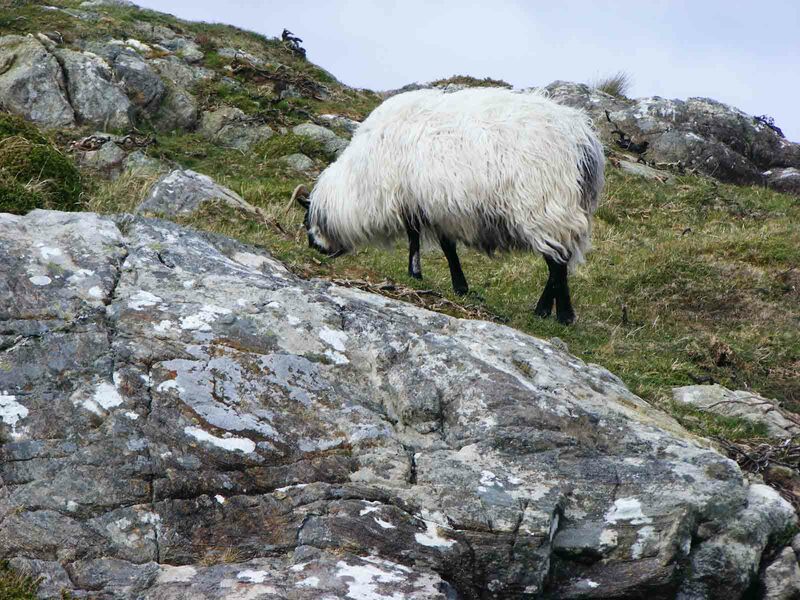 Another ram decides to ignore me ( below). 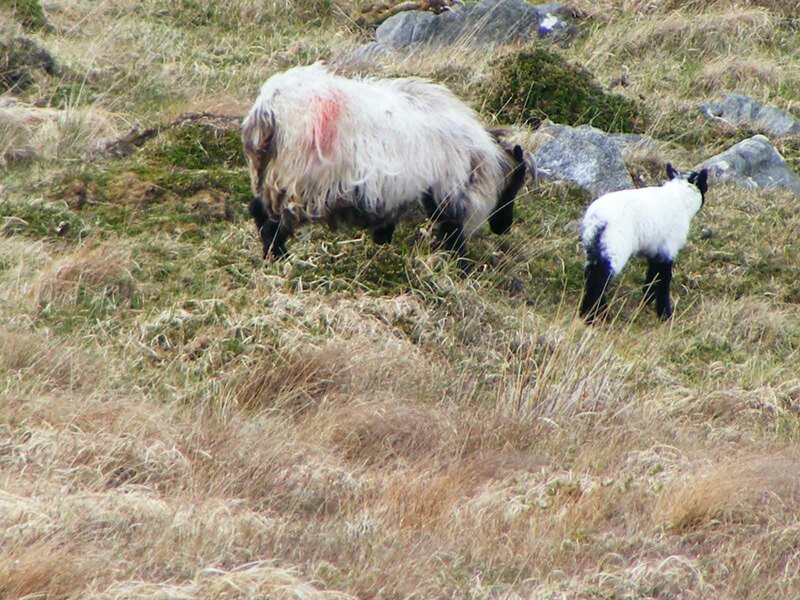 Then I spot a ewe with her lamb. They move quickly when they become aware of my presence so I take as many pictures as I can. It’s breezy and I’m finding it hard to keep the camera still so some of my shots are just out of focus. I keep all the images however as they will be useful as reference pictures. The lamb stays close to it’s mother as they retreat across the heath together. 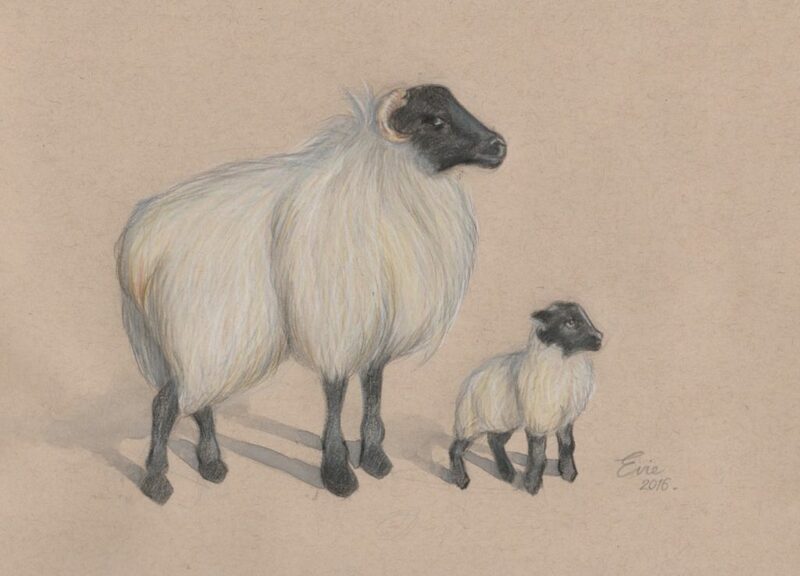 These images remind me of Henry Moore’s beautiful sheep drawings which I will share in another post.